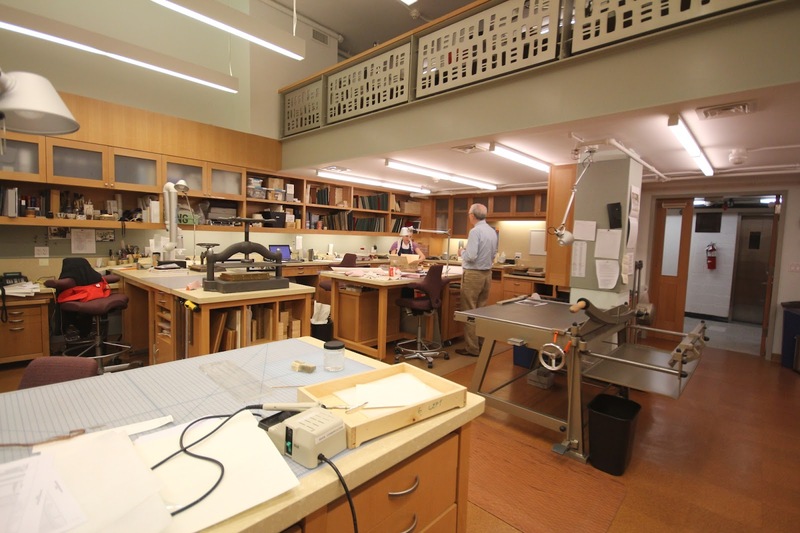 After a year of extensive redesign and renovation the Watson Library has just opened an out-of-this-world book conservation lab called the Sherman Fairchild Centre for Book Conservation. While I am pretty sure this isn't the lab responsible for the handling of the Met's collection of incunabula, the Watson does holds a strong representation of the art publishing that exploded in the 19th century. And beyond. Rare books abound. 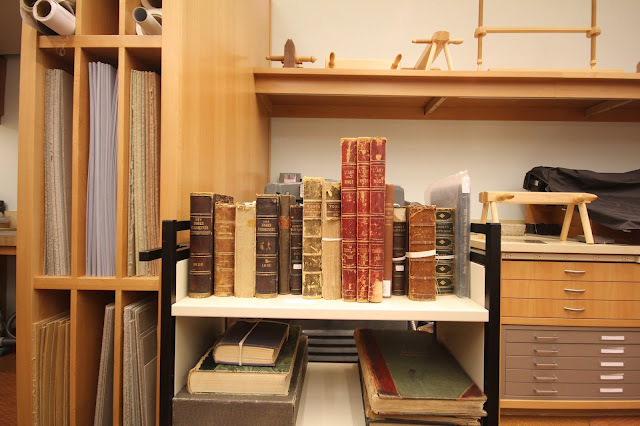 The new lab demonstrates the Watsons commitment to book conservation in the traditional sense and also to digitisation as a conservation method. And it is HUGE! This lab is a veritable wonderland of devices new and archaic, book presses, glues, brushes, magnifiers. I feel like I have entered the book-preservation version of Wonker's factory. 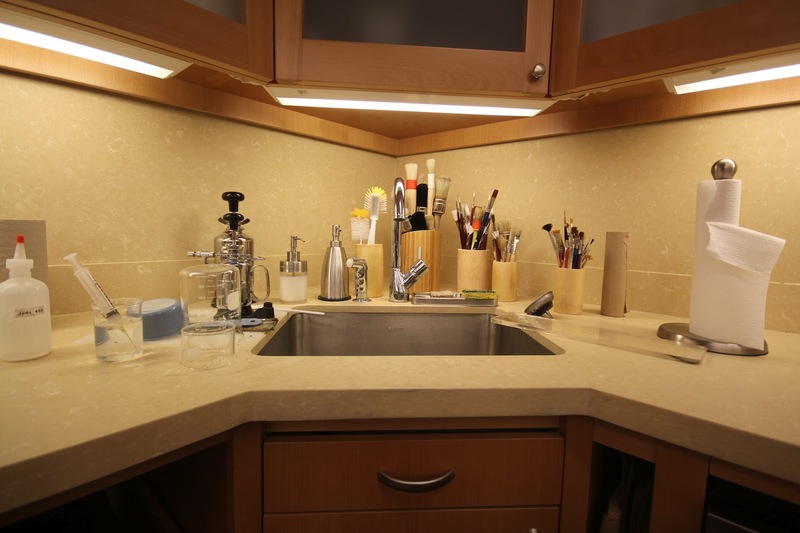 It is very exciting. And while the lab still has that new car feel, the smell of old books drifts about.